Zcash and other so-called “privacy coins” address one of the chief criticism of Bitcoin– lack of complete anonymity. Though Bitcoin does hide some transaction information, governments, employers and other third parties with the right tools can theoretically use Bitcoin to track everything you buy and sell. Crypto investors are bullish on Zcash because Gemini– one of the leading cryptocurrency exchanges in the US– recently announced that it would soon list the privacy-focused coin. Zcash will go live on Gemini on May 19th. However, if you want to use your debit card to buy Zcash, you’ll have to use some other method because Gemini does not accept debit or credit cards. Keep reading for a list of ways to buy Zcash with a debit card. The easiest exchange to use for making your initial debit card purchase when buying Zcash is Changelly. Changelly is one of the only exchanges that supports both debit card buys and Zcash– so you can complete your Zcash purchase without having to use two different exchanges. 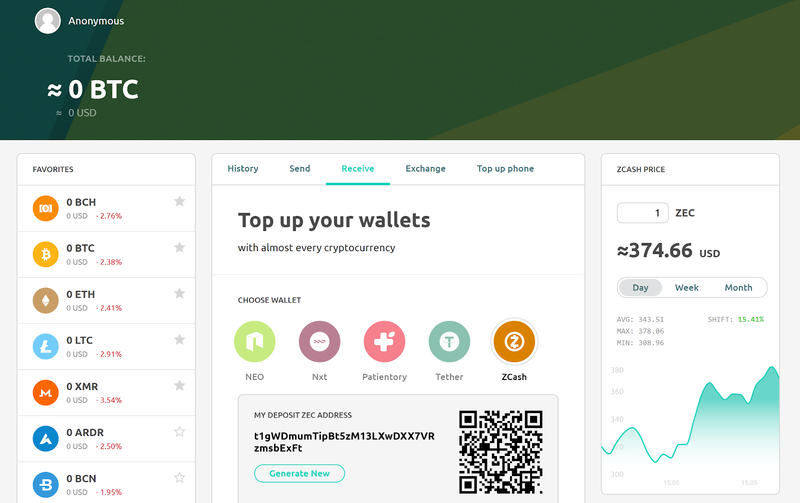 Another convenient thing about Changelly is that you can use it with any crypto wallet. If you already have Gemini account, for example, you can deposit your Bitcoin funds straight into your Gemini Bitcoin wallet. If you don’t have a wallet yet, you can quickly set up a free one using Freewallet. However, there’s a steep price that you have to pay for using Changelly’s convenient services. Changelly charges a 0.5% commission fee, plus a 5% credit card fee. What’s more, Simplex– the processor you have to go through when you use your debit card to buy crypto on Changelly in the US– charges an additional 5% fee. On top of that, Changelly makes extra money on each trade by offering a slightly higher price for Bitcoin to its customers. That price spread amounts to an additional 2-5% “hidden” fee. Yet another downside of using Changelly is the fact that you have to go through a slow ID verification system if you’ve never bought crypto through Simplex before. Simplex takes anywhere from hours to days to verify IDs, and it sometimes rejects IDs without explaining why. To find out more about cheaper alternatives to Changelly, scroll down to A Workaround for Avoiding Changelly’s High Fees. Otherwise, keep reading to find out how to buy Zcash using Changelly. 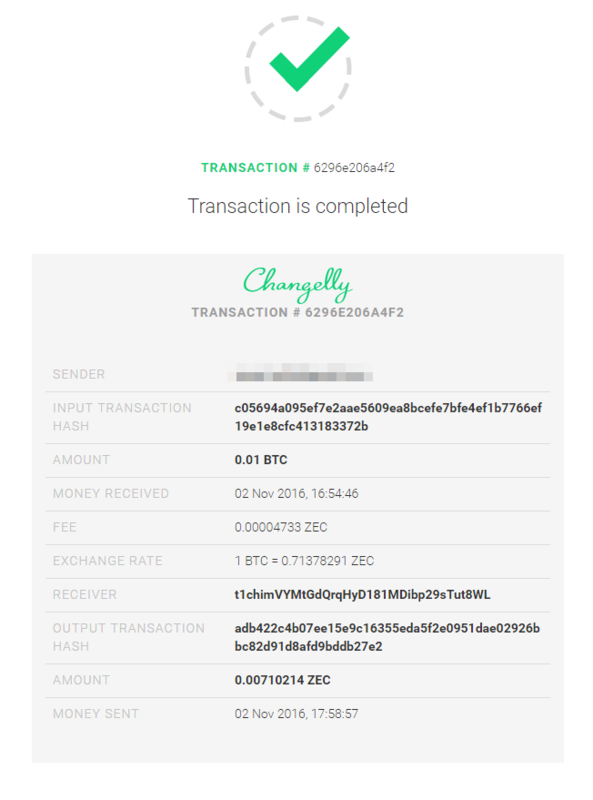 Here’s what the process of buying Zcash looks like on Changelly. 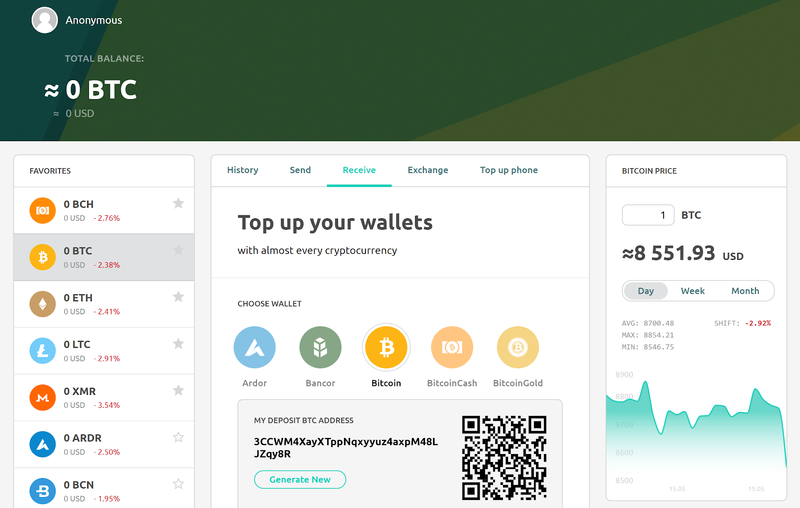 Because Changelly doesn’t have its own crypto wallet service, you’ll have to create one yourself to make your initial purchase. Freewallet is a good option because it’s easy to use and supports a wide variety of crypto coins. You should also find your Zcash address as well. Just choose ZEC from the menu on the left to find out where to deposit your Zcash. 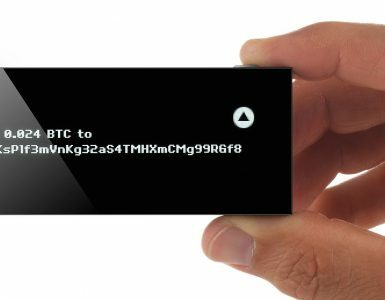 Now that you know your Zcash and Bitcoin wallet addresses, you can move onto the next step: buying Bitcoin. Inside the US, you have to first purchase Bitcoin before you can buy Zcash. Note: If you live in Canada or elsewhere outside the US, you may be able to buy Zcash without having to buy Bitcoin first via Changelly’s other processor, Indacoin. 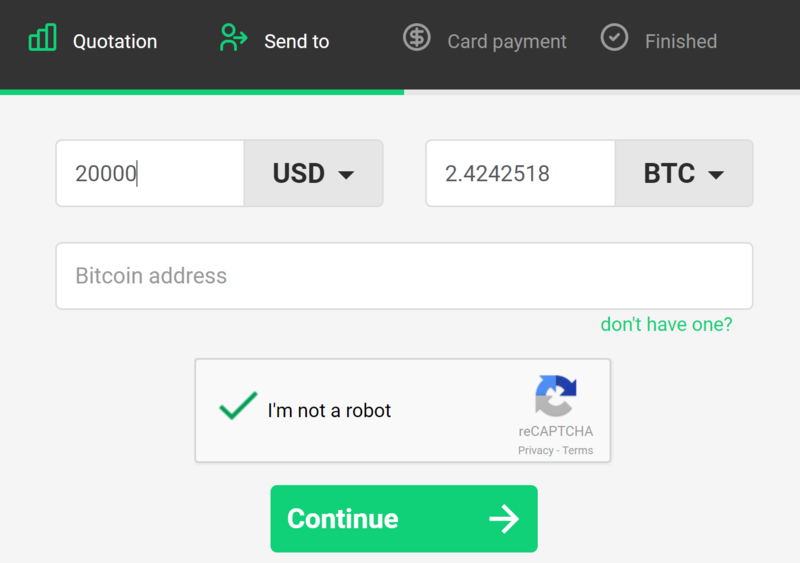 If Indacoin is available in your region, Changelly’s interface will let you make a direct debit-card-to-Zcash buy. Here’s a quick view of how to buy Bitcoin with your credit card using Changelly. In the next step, you’ll provide your billing info. 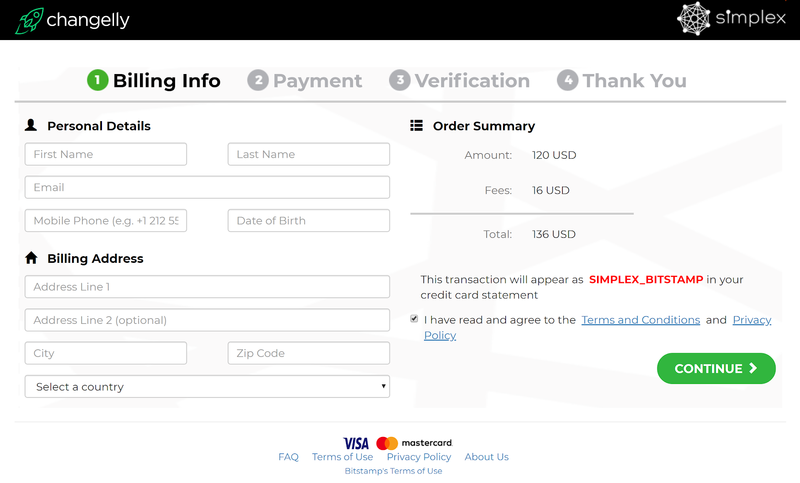 Note: If you’ve never made a purchase through Changelly/Simplex before, you may have to also submit a picture ID. However, there is a potential workaround for using your debit card to move your funds into the abovementioned exchanges. If you want to avoid Changelly’s high fees and slow, picky ID verification system, you can use CEX.IO or Bitstamp to make your initial Bitcoin debit card purchase. Both of those exchanges have much lower fees. CEX.IO charges just 3.5% + 25¢ for debit card deposits and a base 0.25% taker / 0.16% maker fee for commission. 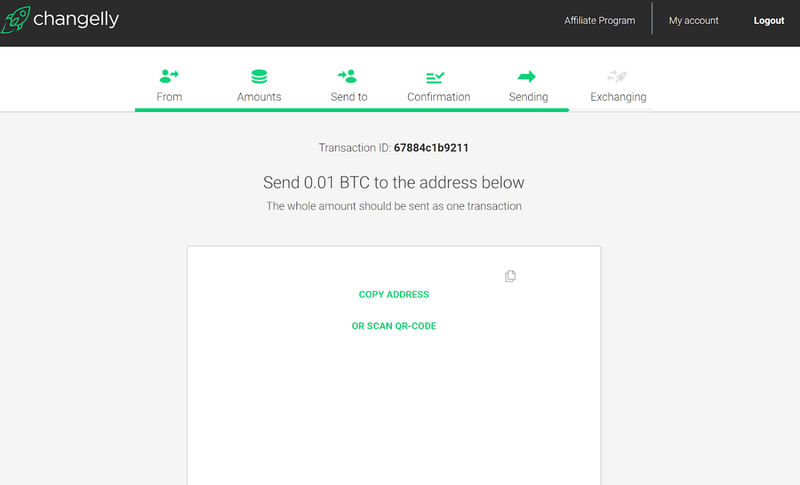 Bitstamp has a 5% for debit card deposit fee and its maximum commission fee is also 0.25%. After you buy some Bitcoin using CEX.IO or Bitstamp, you can transfer your Bitcoin funds into any of the exchanges listed below to trade Bitcoin for Zcash. Note: If you live in the US, CEX.IO and Bitstamp may not be an option for you because both exchanges have limited US availability. Read the reviews linked below for more information on those two exchanges. Over 20 other crypto exchanges isupport Zcash. 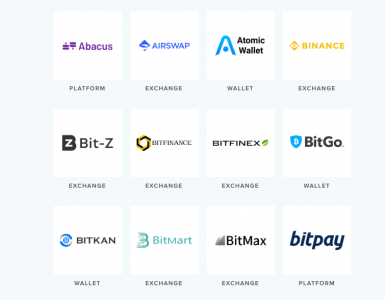 The majority of those exchanges are advanced exchanges that cater to frequent traders and cryptocurrency enthusiasts. Here’s a quick look at the six most popular crypto exchanges that list Zcash. Kraken is led by well-known cryptocurrency thought leader CEO Jesse Powell. Powell helped Mt. Gox recover when that exchange was robbed by hackers in 2014. In addition, he advised the blockchain-powered settlement system Ripple until he resigned in 2014 amid conflicts over changes in Ripple’s long-term vision. Kraken is available in nearly every US state except New York. Aborad, Kraken operates in Great Britain, the Euro Zone, CanZcash, Japan and the United States. Kraken users can deposit and withdraw digital funds immediately. Fiat deposits and withdrawals require additional verification. Commission fees for most currency pairs start off at 0.16% maker / 0.26% / taker. Discounts go all the way down to 0.00%. Click here for Kraken’s full comission fee schedule. Bisq users can exchange Zcash with Bitcoin. Bisq is different from the other exchanges listed here because it has a decentralized structure. Because Bisq is a DAO (Decentralized Autonomous Organization), it has no corporate leadership and it does not require its users to verify their identities. 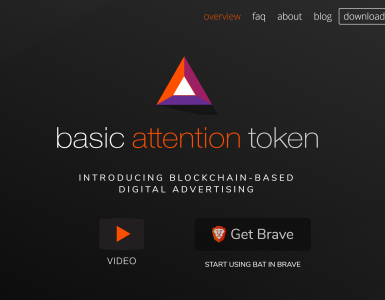 As mentioned above, no verification is needed to use Bisq and anyone in the world can enter its marketplace. Bisq’s fee schedule is designed to reward sellers for sticking close to market prices. A complex mathematical formula is used to calculate fees, and each participant of a Bisq trade must pay an additional 0.001 BTC (roughly $8 USD) fee. This fee pays for the cost of arbitration. 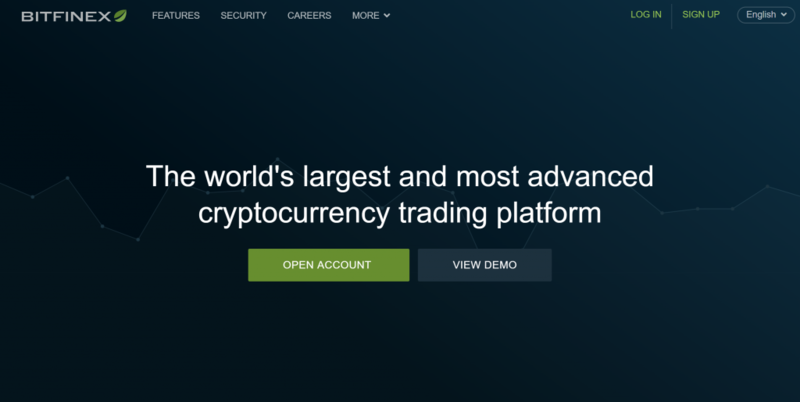 Poloniex’s main attraction is the fact that it lists over 70 altcoins. In addition, Poloniex is one of the few exchanges that offers margin trading. Poloniex is available in most US states except New York, New Hampshire and Washington. Outside the US, Poloniex operates in nearly every country. If Poloniex’s automated ID verification system triggers an error, you may have to wait anywhere from a few days to a few weeks to unlock this exchange’s main features. Commissions start at 0.1% taker / 0.2% maker. Frequent traders can earn reduced commissions. The minimum commission fee Poloniex charges is 0.00%. ShapeShift supports even more altcoins than Poloniex and is one of the only exchanges that allows altcoin-to-altcoin trades. Like Bisq, ShapeShift does not require its users to upload their IDs. It’s available in nearly every country and US state except New York and Washington. 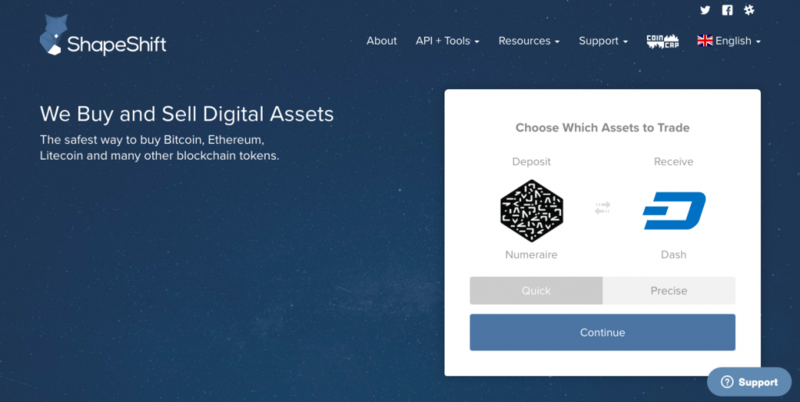 Like Changelly, ShapeShift makes its money by providing higher-than-market-value prices for all the currencies that it supports. According to a ShapeShift knowledge base article, most trades result in a 0.5% built-in profit for the exchange. Like Poloniex, Bittrex caters to experienced crypto traders. Management closed new user registration last year when the price of Bitcoin skyrocketed, but resumed taking new users in April after installing a new and better interface and hiring additional support staff. New York residents can use Bittrex, but residents of California, Texas and Pennsylvania cannot due to the fact that the exchange has not acquired the necessary licenses. Abroad, Bittrex is available almost everywhere. Bittrex allows unverified users to make small deposits and withdrawals. Larger deposits and withdrawals require additional verification. Bittrex does not offer any commission discounts. Instead, it charges a flat 25-basis point fee on all trades. Though Bitfinex is one of the world’s largest crypto exchanges, it’s probably not a good idea to join right now because the exchanges is currently under investigation. Most US residents can’t join Bitfinex, but corporations can. Non-US residents around the world are free to join. Bitfinex allows its unverified users to trade cryptocurrencies, but they can’t make fiat deposits or withdrawals. Bitfinex’s sliding commission fee structure begins at 0.1% maker / 0.2% taker. The minimum commission rate is 0.0%. If you’re looking for an easy way to buy a small amount of Zcash with a debit card, Changelly is the best option. But if you intend to spend more than a few hundred dollars, you may want to buy Bitcoin via Bitstamp or CEX.IO instead, and then trade your Bitcoin in for Zcash on a one of the crypto exchanges that supports Zcash. Changelly’s high fees are acceptable if the purchase amount is low, but they begin to add up fast if you make multiple transactions or buy large amounts of Zcash.